I recently purchased a home that came with a few raised gardens. Since I love to cook and a majority of our grocery shopping each week is done in the produce aisles, I decided to try my hand at a little gardening. It is actually much more challenging and nuanced than I expected, but there is no better feeling than the first time you get to cook with something you grew yourself in the backyard. I am now hooked on gardening and landscaping and recently decided to snoop around for some garden tools and gadgets that may make the work a little easier. Here are some of the more interesting and cool lawn and garden tools and gadgets and accessories I have dug up in my web travels. As with all of my gadget posts, I will be updating this post as I stumble on more items. 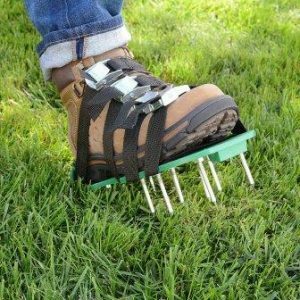 Lawn aerator foot set revitalizes your yard Walk your way to a greener healthier lawn. Aerating turf loosens compacted soil and roots by allowing rain to reach the foundation of the grass. New seeds have a chance to grow and take hold beneath the surface or your yard when there is more air and water circulating. Sandals are one size fits most, with adjustable straps and 26 one-and-a-half-inch spikes. Steel and plastic. Best Choice Products is proud to present this brand new Rolling Garden Work Seat. Feeling back pain after a whole day of taking care of your plants? This garden work seat is the answer to your prayers. 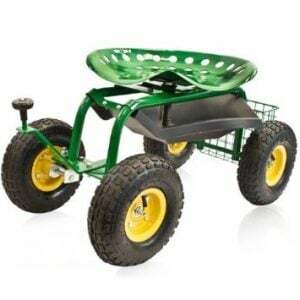 It is equipped with four 10 inch wheels and a powder coated steel frame that will have you gardening with ease and comfort. Ideal for those with a garden of any size. 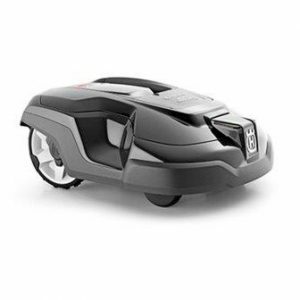 It comes with a utility basket to keep your gardening tools in while you roll across your garden. 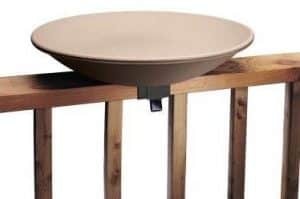 Attract a variety of wintering birds to your backyard with a warm, clean Mollema & Son birdbath. A Built-in thermostat prevents bird bath water from freezing, even on the chilliest winter days. Plus, thanks to the convenient “tilt-to-clean” deck rail mounting bracket, keeping the bowl tidy is simple. This product is covered by a one-year warranty against defects in materials and workmanship. Forget about bug bites. It is time to enjoy a great day outdoors, regardless of what you choose to do. 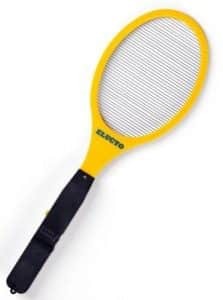 With a simple move with THE ELUCTO Bug Zapper! any bug attacking you and your family will be zapped on the spot. 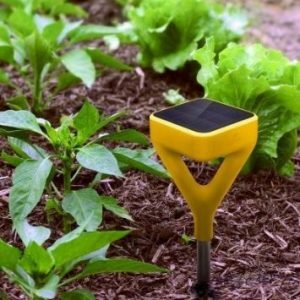 Keep connected to your garden by using this Garden Sensor from Edyn. Ensures good quality and durability for longer life. Algreen combines the timeless esthetics of pottery with the enduring longevity of modern plastics. The Castilla complements any outdoor space with its elegant and functional design along with integrated planter. All Algreen rain barrels are equipped with two overflows to allow for linking multiple barrels or installing the rain barrel with an Algreen Deluxe Diverter Kit. Collect water for your grass and flower gardens as well as water for washing your car. This rain barrel is compatible with the Algreen Rain Barrel pump kit for pressurized watering to your garden. Keep your plants perfectly watered! 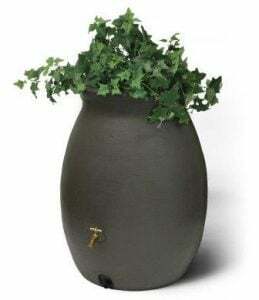 Water From A Stone, slowly lets water out into your planter over the course of 3-4 days. A useful addition to any gardener’s home. Made from hand-blown glass. Holds 7-ounces of water. 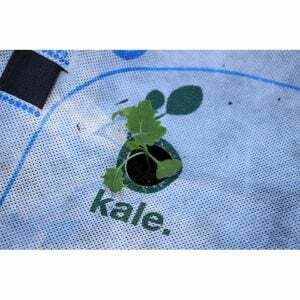 Reusable urbmat includes four (4) Garden Staples, Built in irrigation system, care book, 30 seed balls, plus the mat. 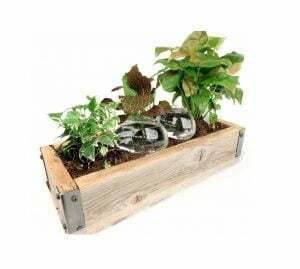 Grows 12 Non GMO Plant types aruguala, basil, catnip, cilantro, chard, kale, lettuce, marigold, parsley, radish, spinach. The new gen 2 Rachio smart sprinkler controller offers amazing features, water with true intelligence. Your sprinkler system is now smarter than ever. Rachio puts everything you need in one place, giving you total control over your yard. Now, calibrate soil, vegetation, slope, sun exposure, and nozzle types. Choose from national and local weather stations to get the most accurate weather data for your location. 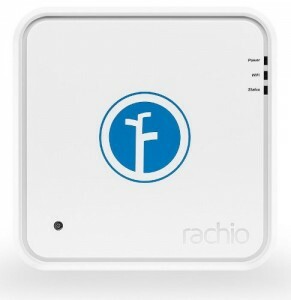 No more one-size-fits-all you have the freedom to make adjustments over time and tune your Rachio to your unique landscape. Control from anywhere. On any device. Set it and forget it or control and manage the details yourself. You can even give your professional landscaper access when needed. Android, IOS and laptop versions of the app give you complete control at home or away. Better data equals smarter watering. The app makes it easy to get the best weather data available. Zoom in on your neighborhood and choose the weather station best suited for your location. Free your sprinklers from rigid schedules. Flex schedules keeps up with the rapidly changing weather. Automatically adjust frequency while watering deeper. Providing your plants with the right amount of water at just the right time. All this means healthier plants, deep. 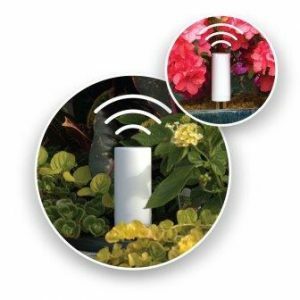 PlantLink Wireless Plant Sensor Indoors Outdoors. PlantLink makes watering simple and efficient. By combining moisture sensors with the PlantLink app, PlantLink lets you know when your plants need water. Simply place Links in soil indoors or outdoors, and the system will calibrate to the plant’s watering needs using our catalog of over 50,000 plants. Never worry about over or under-watering again. Note: Some of these links may be affiliate links. For a list of the programs I belong to, please visit my disclosures page. 22 of the Coolest Swimming Pool Gadgets You Can Actually Buy One really cool thing about swimming pools is the number of creative gadgets that have been developed over the years to make the owner's job a bit...easier and their swimming pool even more enjoyable. In my quest to bring you the most creative and useful gadgets out there, I recently turned my...focus to swimming pool gadgetry. 20 Awesome Gadgets for the Great Outdoors I've spent a great deal of time here spotlighting creative and handy digital gadgets for the home, office, kitchen, car, etc. Now, as the...temperature rises and the days get longer, we shift our focus to outdoor gadgets. Here are some of the most creative gadgets for all your outdoor...activities- pool, entertaining, camping, hiking, etc all in one handy post. 20 Innovative Bike Accessories and Gadgets | Cool Gadgets Here are some of the most interesting biking gadgets and accessories that I have been able to dig up. List updated constantly.